The Air Conditioning, Heating and Refrigeration News is both an online news and print publication media outlet that educates subscribers on a variety of useful HVAC topics throughout the year. It offers breaking news, product reviews, video tutorials, instructional webinars, and market breakdowns. The HVAC Insider keeps you informed about the industry expos, conventions, conferences and other events. It also reviews new products and potentially revolutionary technologies. HVAC News rolls out press releases from the leading brands and the most recent corporate shakeups. You'll also find a calendar of expos and published studies that could change the HVAC industry. This is a print magazine and online publication covering a variety of topics in the contracting field. It has a section dedicated to HVAC, which provides product descriptions, general HVAC industry news, and classified ads. This online resource presents lots of information on mechanical contracting. It's also an excellent resource for staying up to speed with the latest HVAC technologies. This publication provides photo galleries of new products as well as analysis of new companies and technologies that are likely to have an impact on the industry. 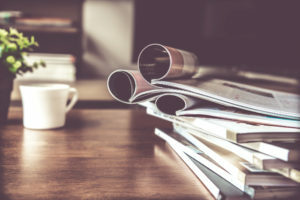 These HVAC publications will help you keep up with the latest trends and technologies, allowing you to take advantage of them so you can maximize your indoor comfort and home's energy efficiency. For any HVAC needs — including heating or A/C installation, repair, and service — in the Fort Wayne area, contact us at Hartman Brothers Heating & Air Conditioning.